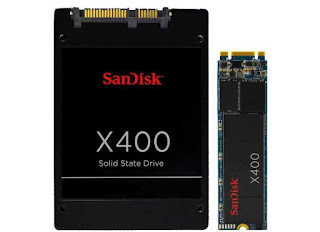 SanDisk announced availability of the new SanDisk® X400 SSD, the world’s thinnest one terabyte (1TB) M.2 solid state drive (SSD). It is the first single-sided 1TB SATA M.2 form factor with a mere 1.5mm height. The X400 SSD is designed for fast start-up and application launch, as well as for extended battery life. Consumer research conducted by SanDisk in late 2015 indicates that these benefits are important for more than 70% of consumers when using PCs. The SanDisk X400 SSD is currently available in 2.5’’ cased and M.2 2280 form factors at 128GB, 256GB, 512GB and 1TB capacities. GIGABYTE, the world’s leading premium hardware brand, today announced the release of two new power supplies (PSUs), 80 PLUS® Gold certified 750W G750H and 80 PLUS® Bronze certified 700W B700H. The two new offerings boast superior energy efficiency, premium components, and industry-leading features to ensure the top performance required for powering today’s high-end systems for gamers and PC enthusiasts. GIGABYTE G750H is designed to deliver excellent electrical performance at 80 PLUS® Gold certified efficiency of up to 90% with minimal power waste, translating to less heat dissipation and lower operating cost. Using 100% Japanese capacitors and premium components throughout the design, the G750H provides users with extended product reliability and lifespan. The 750 watt of continuous power with a single +12V rail ensures the best power output with stability, which is ideal for overclocking. The G750H is outfitted with a 140mm temperature-controlled fan for cooling. The fan speed is automatically adjusted according to the actual power usage, giving users a near silent operation under light loads. The fan uses an ultra-durable double ball bearing design, which offers prolonged product life over 50,000 hours. In addition to performance, the G750H makes installation clean and tidy with its modular cable management as users only need to mount cables that their systems require. The modular connectivity with flat black cables reduces frustrating cable clutters and ultimately improves thermal performance within the chassis due to increased airflow. GIGABYTE B700H has 700W of power capacity with 80 PLUS® Bronze certification for up to 85% conversion efficiency, offering optimal power needed for gamers to drive their power-hungry gaming machines. The B700H is feature-packed with high-quality Japanese capacitors, quiet, durable cooling with a 120mm double ball bearing fan, and modular cable management as well to make it a great alternative for higher-end gaming PC builds. NVIDIA® SLI™ and AMD® Crossfire™ ready, the G750H and the B700H are both stringently tested to guarantee maximum stability combined with ample power and connectors for builders with serious gaming needs. Both models are backed by 5-year product warranty. 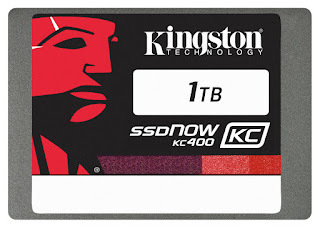 Kingston, added the newest addition to its SSDNow family, the KC400 solid-state drive, Designed for enterprise client workloads, KC400 SSD is 15-times faster* than a hard-disk drive delivering consistent performance for both compressible and incompressible data, and improved responsiveness in performance-hungry applications. KC400 SSD provides end-to-end data path protection and SmartECC™ to guard data plus SmartRefresh™ to protect against read errors. Data is rebuilt if there’s an error, and the drive is able to recover from an unexpected power shutdown, via firmware-controlled power loss management. The drive provides excellent data reliability due to the highly advanced Phison PS3110-S10 eight-channel controller and quad-core processor. KC400 is available in 128GB, 256GB, 512GB and 1TB capacities2. 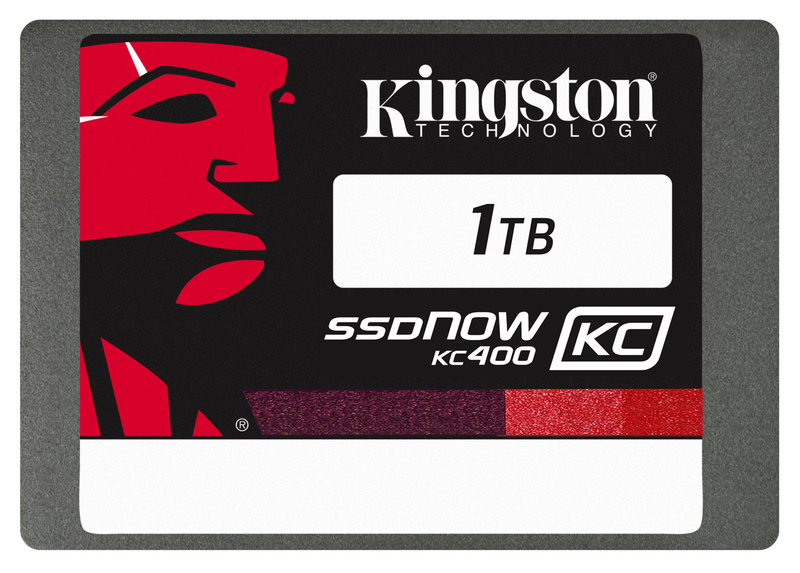 KC400 SSD is backed by a limited five-year warranty1, free technical support and legendary Kingston reliability. 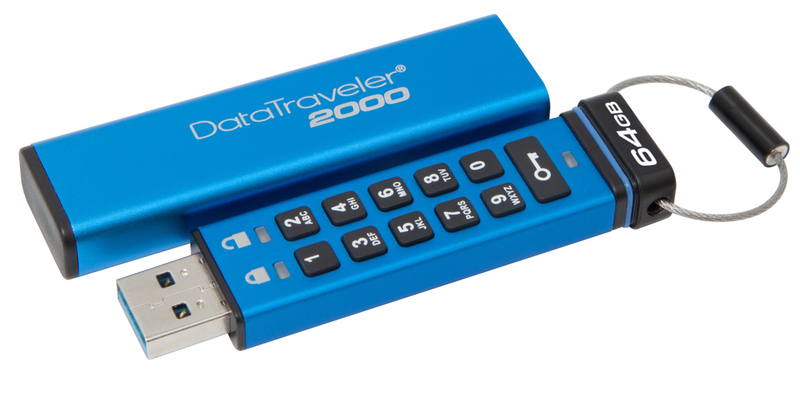 Kingston, recently announced the release of DataTraveler® 2000 encrypted USB Flash drive. DataTraveler 2000 offers hardware encryption and PIN protection with access through an onboard alphanumeric keypad. It is designed for global security IT professionals, small-to-medium businesses and corporate end users who require electronic data protection. DataTraveler 2000 is easily deployable in a work environment where multiple devices and operating systems are in use as the drive is OS independent and features hardware-based, full disk AES 256-bit data encryption in XTS mode. Encryption is done on the drive and no software or hardware drivers are needed.DataTraveler 2000’s alphanumeric keypad allows users to lock the drive with a word or number combination for easy-to-use PIN protection. For additional security, its auto-lock feature is activated when the drive is removed from the host device and the encryption key and password are deleted after 10 invalid login attempts to thwart brute force intrusions. DataTraveler 2000 is built with durability in mind as an aluminum cover protects the drive from everyday elements such as water and dust.DataTraveler 2000 is using Datalock® Technology licensed from ClevX, LLC. The two companies have worked together for many years as ClevX’s innovative security and mobility solutions can be found on other Kingston encrypted USB Flash drives.DataTraveler 2000 available in 16GB, 32GB and 64GB capacities and is backed by a three-year warranty, free live technical support and legendary Kingston reliability. 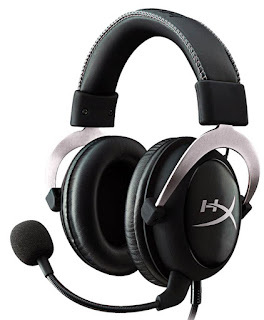 HyperX, a division of Kingston Technology, announced an agreement with Microsoft to be an official licensed headset partner for Xbox One. When the HyperX Cloud Series launched in 2014, it was aimed squarely at PC gamers. HyperX CloudX is the company’s first foray into the gaming console market as it plugs directly into Xbox One controllers with a 3.5mm port.Based on the award-winning HyperX Cloud II design, HyperX CloudX brings a new level of audio performance to console gamers. It delivers every gunshot, explosion and dialogue in crystal-clear sound via large 53mm drivers. HyperX CloudX has convenient in-line volume controls and uses memory foam ear cushions as well as a soft leather-padded headband with custom stitching for enhanced comfort and style. The over-the-ear, closed-cup design helps block out ambient noise for a more immersive game experience. HyperX CloudX also features a detachable microphone and comes with a hard shell carrying case to protect the headset when traveling or not in use. HyperX is the high-performance product division of Kingston Technology encompassing high-speed DDR4 and DDR3 memory, SSDs, USB Flash drives, and gaming accessories. Targeted at gamers, overclockers and enthusiasts, HyperX is known throughout the world for quality, performance and innovation. For more information, please visit the HyperX home page. Kingston announced two additions to its Wireless family with MobileLite® Wireless G3 and MobileLite® Wireless Pro. MobileLite Wireless G3 provides mobile device users an extra boost when on the go. 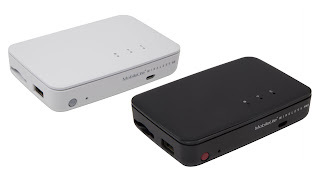 With its large 5400 mAh battery fully charged, MLWG3 can charge smartphones up to two times1. Charging devices is also faster2 with 2A output charging maximum.Similar to previous generations, MLWG3 has a USB port and SD card slot allowing users to access files on a USB Flash drive or SD card3 on their smartphone or tablet wirelessly. Through the MobileLite app, users can easily transfer, backup or share photos, videos and other content without having to use a PC. This also allows users to free up precious space on mobile devices without deleting or using Cloud based backups. Both devices are Dual Band Wi-Fi capable (802.11 ac) for fast data transfer.MobileLite Wireless Pro has all of the same features as MLWG3 but also offers 64GB of memory built-in to go along with its even larger 6700 mAh battery. In addition to charging mobile devices and wirelessly streaming data, users now have convenient access to extra onboard storage. MobileLite Wireless G3 and MobileLite Wireless Pro are backed by a two-year warranty and legendary Kingston reliability.